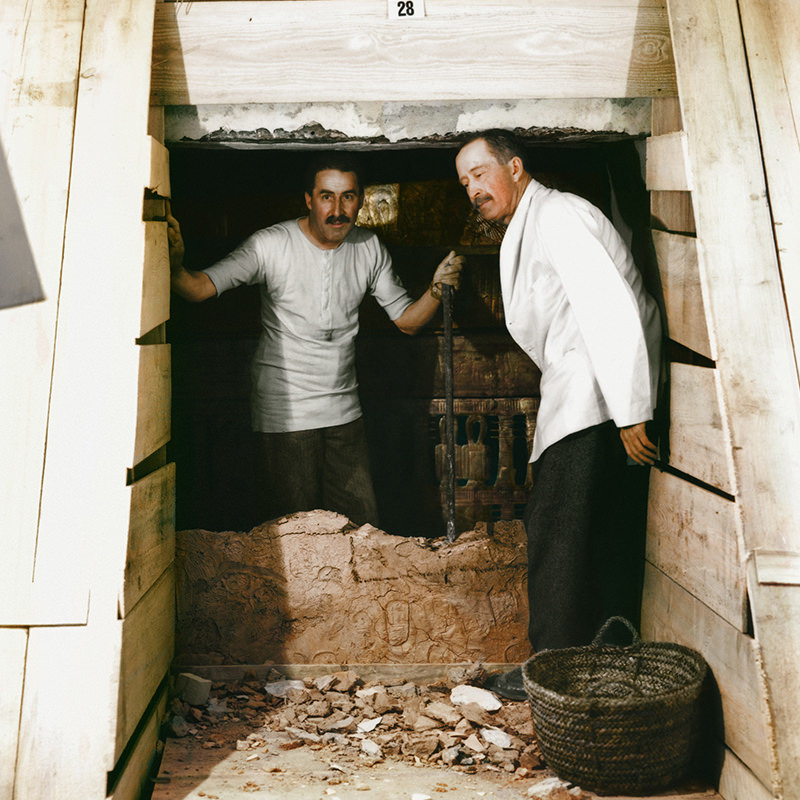 The Discovery of King Tut takes visitors on a once-in-a-lifetime expedition into the history of ancient Egypt to experience the treasures of Tutankhamun and his famous tomb chambers, as they were when discovered in 1922 by archaeologist Howard Carter. Closes Jan 27. Final Weekend SOLD OUT. Ready to Explore the Tomb? Experience the wonder of the twentieth century's most famous archaeological discovery. This is a timed admission event. Advance ticket purchase strongly recommended. This is a timed entry exhibition. Please plan to join the line no more than 10 minutes prior to the printed time on your ticket. For more information on timed ticketing, refer to our FAQ section. 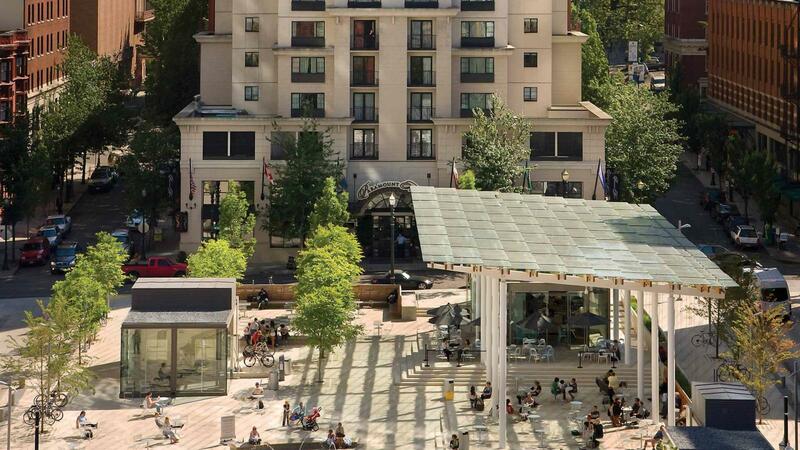 Book an overnight stay at The Paramount Hotel, located in the epicenter of Portland's Downtown District, across from Director Park and steps from Pioneer Square. 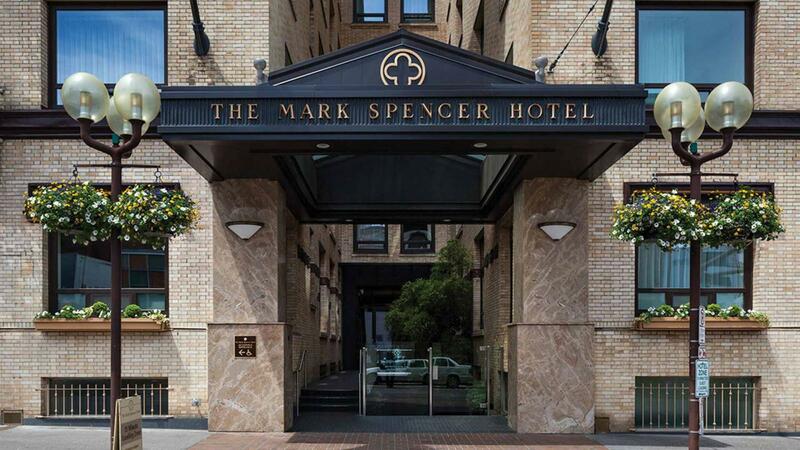 Book an overnight stay at The Mark Spencer Hotel located in heart of Downtown Portland, located near Powell’s Books where the West End meets the Pearl District! 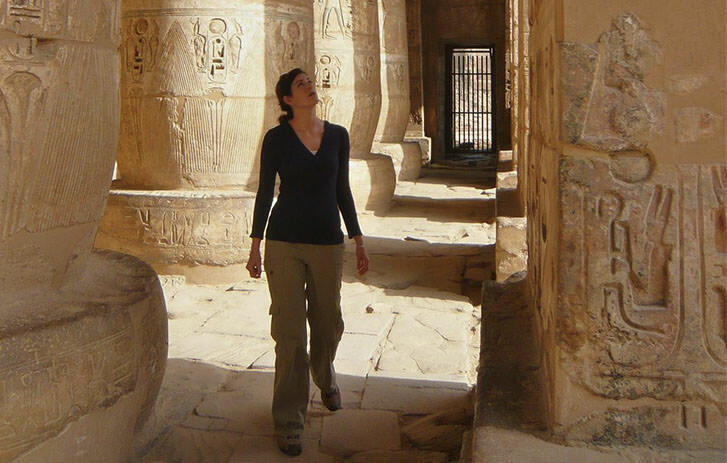 Soar over the great pyramids of Giza, float down the majestic Nile River, cross the deathly quiet Valley of the Kings, and descend into the shadowy chambers of the sacred tomb of King Tutankhamun. 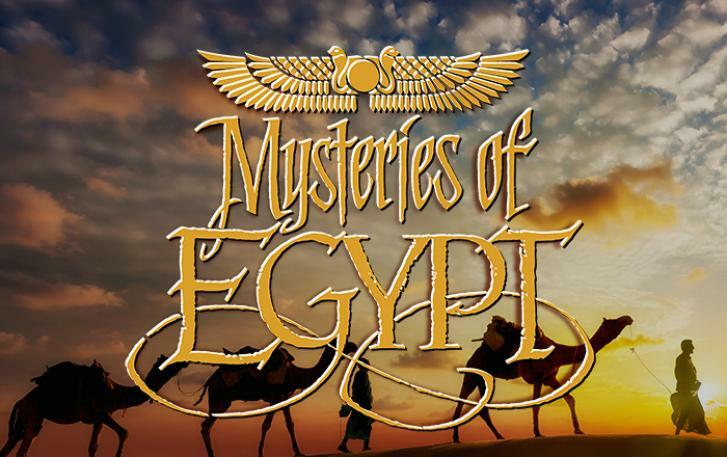 Journey to the royal tombs of Egypt and explore the history of ancient Egyptian society as told through the mummies of the past. 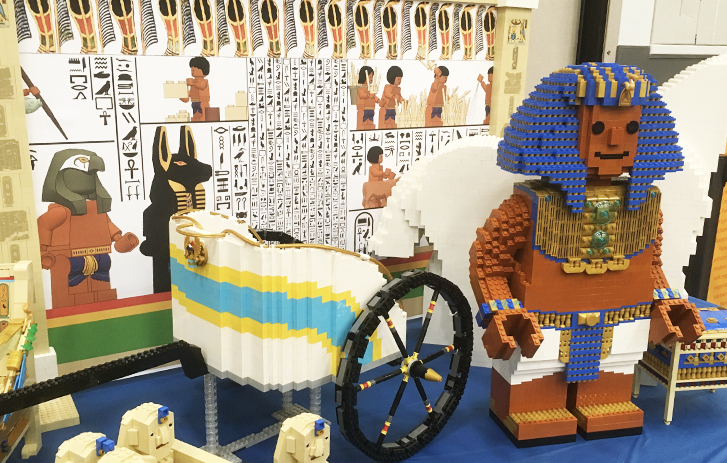 See King Tut, Tut’s tomb, the Valley of the Kings, and other wonders of Ancient Egypt recreated with LEGO bricks! Plus, family-friendly play zones allow for hands-on building of pyramids and other fun projects. Questions about The Discovery of King Tut? Browse our FAQ's for info on the exhibition, ticketing, and more. Q. What are the dates this exhibition will be open? A. The Discovery of King Tut will be on view from October 6, 2018 to January 27, 2019. Q. How much does it cost to attend the exhibit? A. Tickets to The Discovery of King Tut, which include general museum admission, are $22 for adults, $15 for youth (ages 3-13), and $18 for seniors (ages 63+). Prices for OMSI Members are $8 for adults, $5 for youth, and $7 for seniors. Q. Are there group discounts available for the exhibition? A. Yes, for groups of 15 or more, please contact 503-797-4661 or register@omsi.edu for pricing and information. Q. Where can I purchase tickets to the exhibition? A. Tickets for The Discovery of King Tut may be purchased at the OMSI Front Desk, online at omsi.edu or by calling 503-797-4000. Advance ticket purchasers may pay for museum parking and obtain tickets for other OMSI attractions at either the museum Front Desk or Concierge Window. Guests planning to visit multiple OMSI attractions such as our giant screen Empirical Theater, newly-renovated Kendall Planetarium and/or the U.S.S. Blueback Submarine are encouraged to take advantage of our discount packages by purchasing their tickets at the museum. Q. What hours are the museum and exhibition open? A. Guests may view the exhibition Tuesday through Sunday from 9:30 a.m. to 5:30 p.m. with the last entry to The Discovery of King Tut scheduled for one hour prior to closing time. The museum and exhibition will also be open on Mondays during the exhibition run when school is not in session. Extended museum hours until 7:00 p.m. will be offered during select holiday periods. Please visit omsi.edu for the latest information on dates and times. A. OMSI is generally busiest on the weekends during the late mornings and early afternoons. In order to avoid crowds, the best weekend times to visit are when OMSI opens at 9:30 a.m., or later in the day, after 2 p.m. Certain weekday mornings may be busy with school field trips, so the best weekday time to visit is after 1 p.m. Due to the popularity of this exhibition, we strongly recommend purchasing tickets in advance, especially during high traffic times such as weekends and around the holidays. Q. Do I need to purchase tickets for a specific time? A. The Discovery of King Tut is a timed-entry exhibition, which means you will be asked for a date and time you would like to see the exhibition when you purchase your tickets. Ticket holders should plan to arrive to the exhibit line approximately 10 minutes prior to the time printed on their ticket. Q. How early should I get in line for the exhibition? A. In order to ensure that you may enter The Discovery of King Tut at the approximate time printed on your ticket, we ask that you present your ticket to exhibition staff about 10 minutes prior to the printed time. This allows us the opportunity to provide you the complimentary exhibit audio guide, briefly orient you to the exhibit, and answer any questions you may have. There is also an optional four-minute video on Egypt’s 18th Dynasty that is available for viewing just prior to the exhibition entrance. Please be aware, however, that for safety and accessibility reasons, guests presenting themselves at the exhibition line more than 30 minutes prior to the time printed on their ticket may be requested to visit other museum areas until closer to their scheduled time. Q. What if I arrive after the time on my ticket? A. Guests arriving after the ticketed time will be accommodated on a space available basis. Q. How early should I arrive at OMSI prior to my ticketed time? A. On busy weekends you should allow yourself at least 30 – 40 minutes to park, register your parking space and make your way to The Discovery of King Tut entrance. 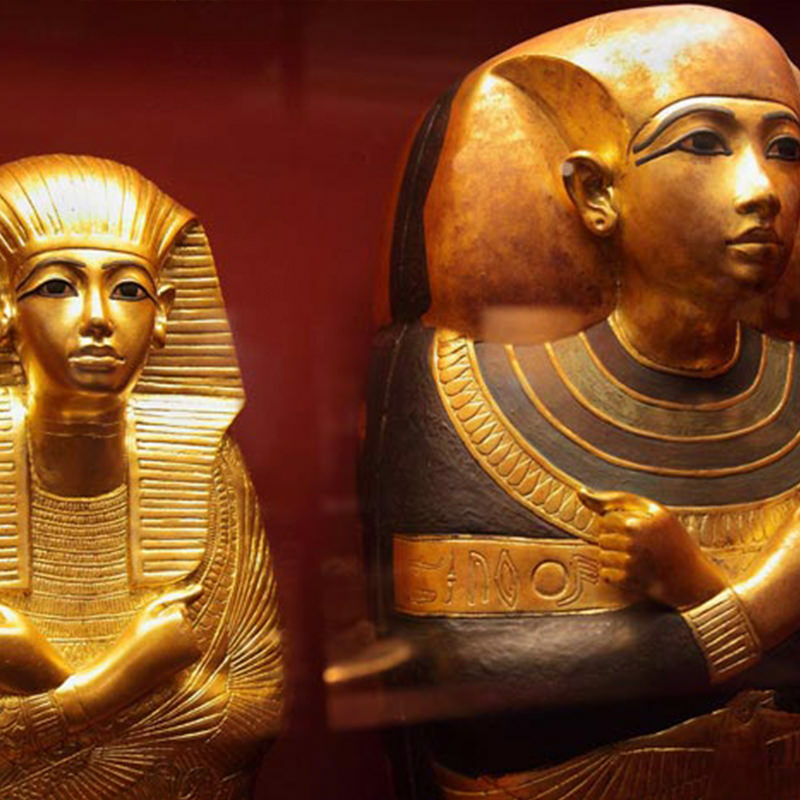 Should time allow, there are several exhibition elements concerning ancient Egypt, Pharaoh Tutankhamun and archaeologist Howard Carter’s discovery of the tomb that are on display in areas leading to the exhibition entrance. Q. Is there an audio guide for this exhibition? Must I use it? A. For a more immersive experience of the exhibition, an audio guide will be provided to you at the exhibition entrance. Both adult and youth versions of the audio guide are available. The audio guide is included in the price of admission and provides extensive additional information about the objects inside the exhibition. It is also necessary to hear the audio that accompanies your tour of the Pharaoh’s three burial chambers, staged just as they were discovered by archaeologist Howard Carter in 1922. Q. How long does it take to see the exhibition? A. Individual visit times will vary, but most guests can anticipate spending 60-90 minutes to view The Discovery of King Tut. Q. I have young children with me, can I bring my stroller into the exhibition? A. Yes. Strollers are permitted inside the exhibition. Q. Is photography permitted in the exhibit? How about food and drink? A. Non-flash, personal use photography is allowed as long as it does not distract from the exhibit experience and respects the privacy of other visitors. Videography, selfie sticks, tripods, and monopods are not permitted inside of the exhibit. Food and drink are not allowed inside the exhibition. Learn more about The Discovery of King Tut. Q. What makes The Discovery of King Tut exhibition different from other exhibits on ancient Egypt or Tutankhamun? A. The Discovery of King Tut presents the world of ancient Egypt in an entirely new way: a unique experience that explores the legendary tomb and its treasures as they were at the exact moment of their discovery. Guests have the opportunity to step into the wonder of the most famous archaeological discovery site of the twentieth century. It's as if the original excavation site in the Valley of the Kings has been reopened. The exhibition presents the excavation, its story and its legacy through stunning and scientifically produced replicas fashioned down to the finest detail by expert Egyptian craftsmen in consultation with renowned Egyptologists. These remarkable, individual presentations allow the world to experience the treasures of King Tutankhamun’s tomb without compromising the fragile originals, many of which are not permitted to be toured. These replicas allow us to preserve the contextual integrity of King Tut’s tomb treasures, which were assembled millennia ago. Upon discovery, the tomb was brimming with treasure, many objects stacked on top of one another and some even haphazardly placed in the tomb, which could be potentially damaging to the millennia-old artifacts if we displayed them in this manner. The exhibition also brings together that which can only be seen separately elsewhere, even in Egypt: while the king’s treasures are kept in Cairo’s Egyptian Museum, today his tomb in the Valley of the Kings, with all its wall paintings, has been stripped of everything but his mummy, the outer coffin and the stone sarcophagus. 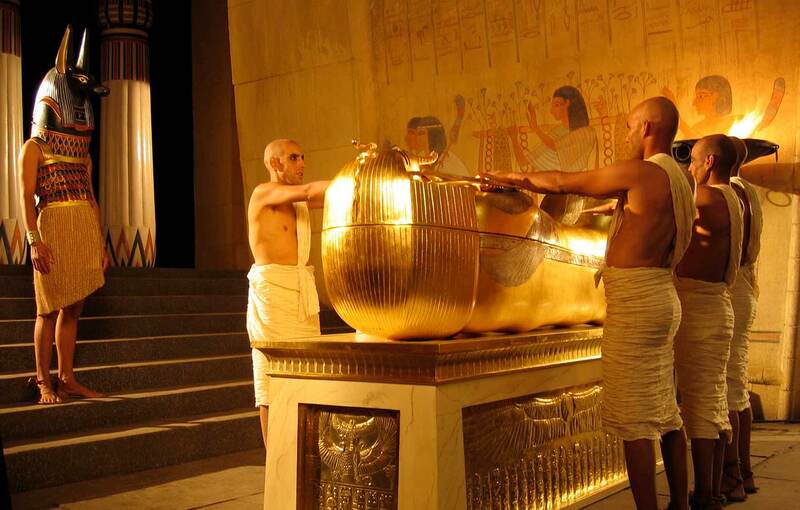 This unique and educational exhibition is not designed to replace the original artifacts, but to complement them by allowing visitors to experience the tomb and the indescribable treasures of King Tutankhamun just as they were when he died, and to live the magical moment of their discovery as if they had been there themselves. Q. What will we see in the exhibition? How is it arranged? A. 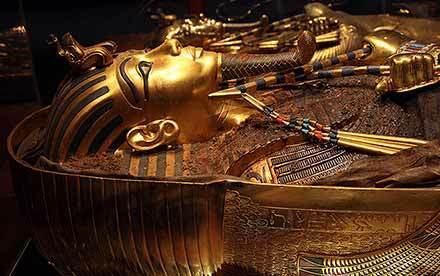 Combining remarkable multimedia presentations, a comprehensive audio guide tour and more than one thousand meticulously crafted re-creations of Tutankhamun’s burial treasures, The Discovery of King Tut allows visitors to immerse themselves in the wonder of the most famous archaeological discovery of the twentieth century. The first part of the exhibition uses media to transport visitors back in time thousands of years to the era of King Tutankhamun. They then experience how Howard Carter discovered the lost tomb after a long search. This initial section culminates with a visit to exact reconstructions of the three Tutankhamun burial chambers that reveal themselves just as Carter found them in 1922. 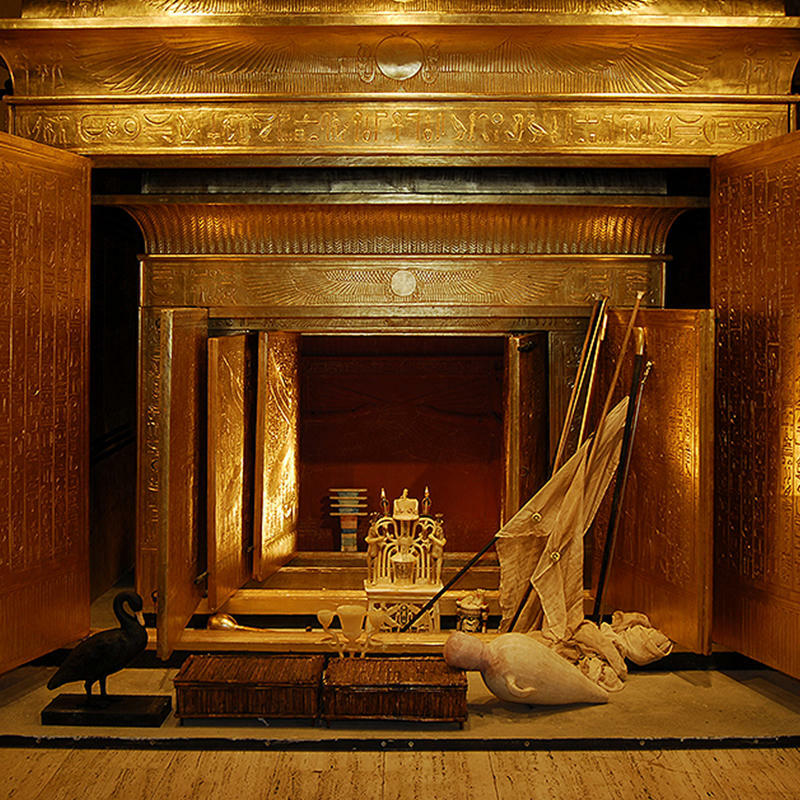 Visitors are then led to the large, open, gilded outer shrine of the Boy King’s burial chamber where Howard Carter uncovered an additional three gilded shrines and a stone sarcophagus, in which there were three inner coffins. Therein lay the intact mummy of the young King wearing the golden mask. The final part of the exhibition provides visitors with the opportunity to examine the most intriguing objects in the burial treasure. The boxes and chests found in Tutankhamun’s chambers are opened, revealing their hidden contents: golden and gilded statues of gods and the King, ushabtis, jewelry and many precious stones. The exhibition also presents a wealth of information about the wider culture of ancient Egypt offering fascinating insights into the Egyptians’ belief in the afterlife, and their efforts to overcome their fate and conquer death and transience.